I got this thing ive traced over but i wanna make the shirt not look so bad. 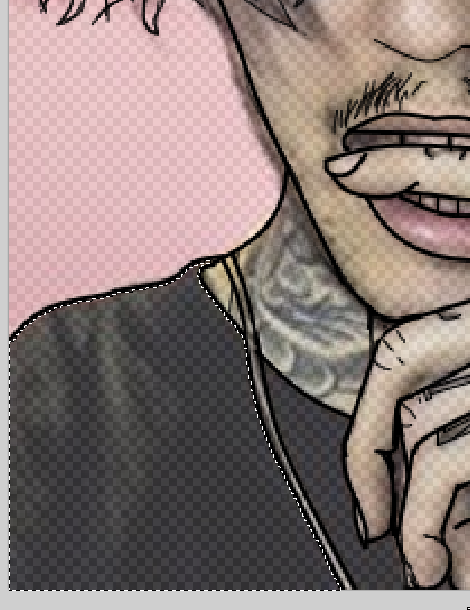 If u use a gradient it just looks like a blob and help what tools and how i should go about using them, The same for the skin how should i go about that aswell. Have you tried putting solid colour layers under the transparent(ish) layer. Eg. Dark grey/ black under the t-shirt/ skin tone colour under the face etc. Ive tried some of that but sadly my pc turned off and didnt say the image now i have to redo it ill try this tho and once i get it outlined ill be back! Thanks for the help.